A cryptic tweet from Alan Myers (former communications manager for Everton) followed up with Jim White asking would a move to Everton revitalize Wayne Rooney alongside wide speculation Everton would look to make a move for their former player has re-opened a previous debate. I’m to put my cards on the table in favour of yes, I think this move would suit the club while acknowledging the difficulties and objections that exist. In approaching the question those who are cautious of his return tend to site 3 different reasons. Firstly that he will be unable to recreate the magic of his first spell, secondly that people are unable to forgive his prior indiscretions and finally that he doesn’t fit within our wider model of recruitment. I will try to tackle each objection before putting a case in favour of a Rooney return. On the first point that he won’t recreate the magic of his first spell, it would be hard to find any Evertonian who would disagree with this. The player we are signing will have a very different and on the field lesser role than the lad who has left. If Rooney comes back it will be as a squad option who will have to prove he deserves to start every week, not as a guaranteed star man. This is perhaps the most straightforward of them to answer. On the second point this is a much trickier question. Each of us are governed by our own personal code of ethics and principles and it is not anybody else’s job, least of all mine to make moral judgement on this. Forgiveness remains a thorny issue that dominates many a moral dilemma and conflict. When to forgive? On what conditions? and how? and why? are all decisions for each individual. In a world of absolute’s and definitive answers forgiveness remains a question that can have no right or wrong answer. All I can do is give you my own belief and journey which I appreciate most will not share. I do this not to convince you that I am right but just to show how it fits within the wider subtext. Rooney leaving was my Alan Ball moment. There was sadness when Fergusan left, heart aching sadness than you could see a man who didn’t want to go having to leave. Rooney there was anger. 2 years previously he had poked fun at other Evertonian’s such as Jeffers who had broken through the academy ranks to leave at the first opportunity. His family could be seen every week at every away game. For a lad of a similar age to Rooney I could see no greater joy than playing for Everton. I was convinced he would stay, as I’d say to friends I’d rather play for Everton than Real Madrid. Looking back this was a naïve, utopian and immature perspective of a young man who was yet to encounter the adult world. Yet it heightened the anger and disbelief when he went. What deepened this feeling was his own conduct. The kissing of an opponents badge. The fact he celebrated goals scored against us. That he seemed to lack a level of class and maturity that befitted players such as Phil Neville who had moved the other way. Like Rooney he always gave his all, yet he was always respectful towards his boyhood club. To balance the argument it should be noted Manchester United fans were also respectful of him, applauding him and singing his name when we played, while our fans barracked Rooney. It’s hard for me to downplay the anger (as opposed to sadness when Fergusan left) at Rooney. I would not enjoy seeing him score any goals, even winning goals at Anfield. That is the only player I can say that of. While we detest our local rivals in all honesty the feeling of hatred towards local rivals is based in an illogical ceremony associated with local rivals in sport. Rarely are they different to you, they were just born into a different family. My hatred for Rooney felt more logical. He was one of us, chose to leave and then took glee in rubbing it in each time we them. For me this was a worse sin than being a Kopite. This feeling crystalised for me in the game when Rooney scored the winning goal in a thrilling United comeback at Everton. The game also marked the first game after the death of Alan Ball (arguably Everton’s most loved post war player). When Rooney scored the winner it would not be an exaggeration to say he resembled a lad who scored the winning goal in the world cup as he celebrated. He bounced along doing star jumps across the Park End maybe as many as a dozen times before getting to the afterthought of acknowledging his own supporters. It was a day of trying to remember Alan Ball, a man who cried when he left Everton and the contrast was stark to Rooney. My own feeling was, he couldn’t even hold his dignity for Alan Ball, no doubt a hero for his own Dad no mark his death and this meant he had no place at our football club, ever. In the months and years that followed, had he joined there is every possibility I would have refused to watch. These things are very difficult to quantify, football fans are fickle, yet I was very keen to be stubborn on the question. Yet some years later I have slowly relented to the point I’d happily welcome back a lad who is a fraction of the ability. How has this happened? There is little doubt that time heals. Fans feel less angry and the barrage of abuse he got dampened. I also think for Rooney he himself matured and began to comprehend the damage of his actions on his former supporters. The fact he has brought his son up to support Everton has certainly helped for some fans. For me though more than this has been my own journey into adulthood. An acknowledgement the world I thought existed at 15 isn’t how the world works and reluctantly winning everything there was to win is an adequate substitute for playing for Everton. That players come and go for Everton but the club remains strong. I fully understand those who can’t forgive him as I’ve said that is at other discretion but for me, I’m happy to have him back if I feel he can be an asset. The third objections that he doesn’t fit our recruitment strategy I am left to a certain degree in agreement. We are looking for younger players to add value. Rooney at 31 adds neither of those things. This does have to be balanced though, with Koeman’s desire to have players who are ready to perform from day 1 at the standard required. Koeman also seems to enjoy working with bigger name players and has an ability to bring more out of them. So what can we say in favour of signing Wayne Rooney? As indicated above I think he would suit Koeman’s desire for players to be ready to make an impact straight away. While there has been a decline in performance it’s hard not to surmise that this has been exaggerated by elements of the media. He has had many good games last season influencing games and scoring goals. You would imagine fitness might be one issue to be looked at, yet Koeman’s own belief that players need to be fit and the work Kluitenberg has done would benefit Rooney massively. You also feel that with the bit between his teeth and the desire to prove his doubters wrong and maybe right some wrongs from how it ended last time Rooney would not be lacking in motivation to succeed. The player I watched at 16 could do everything. While there is little doubt the physicality and speed of his game may be going his brain, technique and single minded desire to win remain. Over the last 10-15 years Everton have had some good teams who have choked at crunch moments. While it’s not always as simple as bringing in 1 or 2 senior winners to help get people over the line in such games, there are numerous accounts where this has worked. Think Cantona and Manchester United. Think Andy Gray for Howard Kendall, who famously told his team before the 1984 FA Cup Final “it is only a good day if you win”. This Wayne Rooney doesn’t play every week and dazzle Evertonian’s, but he has an influence off the field in helping to develop a winning mentality as a valuable member of the squad. Finally and perhaps most importantly, there is a significant value for Rooney as an asset to the club. In 10 years time there will be numerous shows about Wayne Rooney. He will be Englands record appearance maker and goalscorer, as well as having the same honour at England’s most successful and prestigious club. At present we are reduced to a mere footnote in the Wayne Rooney story, almost as if we were a youth academy. This is not just hurtful for Evertonians (such as Colin Harvey) and the club, but detrimental to one trying to rebuild it’s brand. We will never get full ownership with Rooney and I suspect will always be considered a Manchester United great, however Wayne coming back for possibly 3 years, scoring 20-30 goals and making maybe 100 appearances would help redress the balance somewhat. 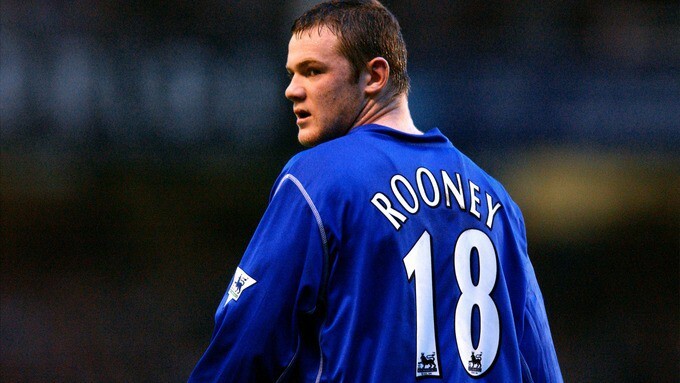 It also opens the possibility of Rooney returning in some capacity to the club when he career ends. The value he would bring in terms of recruiting young players in the local area would be enormous. As too would any advise he could pass on to players such as Tom Davies. He can tell him how Roy Keane prepared. He can explain to Kenny how Gary Neville approached opposing wingers. For Lookman how Ronaldo would prepare, for Holgate what he might learn from what Rio Ferdinand did. This is a level of insight you can’t buy. As a society we are a “spend not mend” society (as my grandparents inform me). Whether it’s a car, TV, computer or Washing machine, such is the speed and regularity and volume of newly produced items, the wider impact of advertising and easy access to credit we find it very easy to buy new rather than keeping older and arguably better items. This permeates the way many football fans think where seemingly a lad who’s 30+ and older often seems to be written off as having any value. We have seen it with Gareth Barry, written off at City and proclaimed “his legs have gone” yet has done an admirable job for us for 4 years. It might not work out like that for Rooney, but my suspicion is like with many others the level of his decline is not a drastic as people want to believe. Part of becoming a big club is accepting that compromises sometimes have to be made for the wider goal. Everton has prided itself in it’s purity of footballing morals, yet it has seen us slip back (to the “museum” Moshiri warned of). If there is a marketable player who can do a job for us expect to see far more of these deals as the club aims to continue to grow it’s ethos. I am happy to be on board with it, as I’m happy for the end goal. If Rooney becomes available I certainly won’t be doing cartwheels if he comes, but I will be pleased. I’ll be pleased that a closure for himself and the Everton fans can hopefully come, that the lasting memory of him will not be him scoring against Everton. Most importantly though, I think he can help develop a winning attitude and spirit amongst a talented but to date fragile group of players, and hopefully help us get over the line to start winning trophies again.